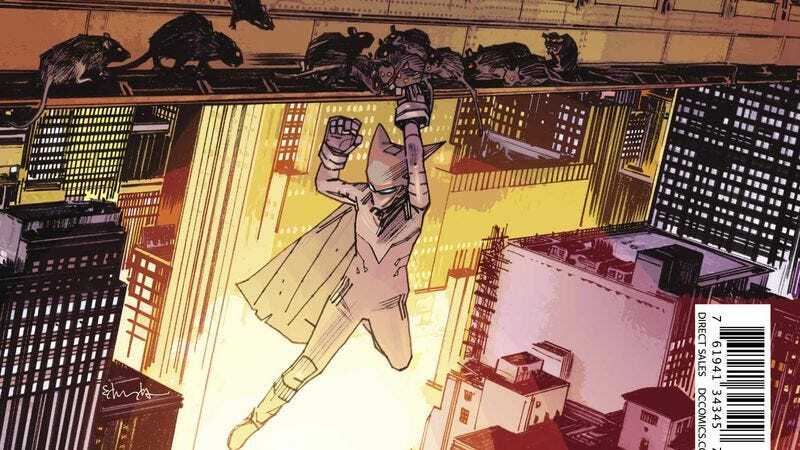 Young Animal’s Mother Panic is DC’s first Mature Readers comic entirely set in Gotham City, and it’s offering a very different take on the Gotham vigilante. Like Bruce Wayne, Violet Paige is a wealthy socialite that suffered a childhood trauma, but unlike Bruce, Violet was directly responsible for the death of her father and intensely suffered for it afterward. Violet’s experience in the “experimental school” Gather House has left emotional scars that writer Jody Houser is just beginning to explore in this series, and in this new arc, Violet comes face-to-face with another Gather House alumni: the unsettlingly gorgeous villain named Pretty. Rather than finding a new rival, Violet sees a kindred spirit in Pretty, and the two of them have begun a tenuous partnership built on their shared trauma. This second arc of Mother Panic welcomes a new art team with artist Shawn Crystal and colorist Jean-Francois Beaulieu, and while the more cartoony visuals are a major shift from Tommy Lee Edwards’ gritty aesthetic, they work well as an extension of the new villain. Crystal and Beaulieu’s work is softer and smoother, giving the book a prettier look compared to the high-contrast harshness of what Edwards brought to the series. This exclusive preview of this week’s Mother Panic #5 spotlights that stylistic shift, but also shows that this new art team has a strong handle on the emotional storytelling, particularly when it comes to Violet’s relationship with her mentally ill mother. Also included is a page from the “Gotham Radio” back-up story by writer Jim Krueger, artist Phil Hester, inker Ande Parks, and colorist Trish Mulvihill, which takes a look at how Gotham’s civilian population reacts to the vigilantes in town. Mother Panic is giving readers a broad view of Gotham City, and its distance from the events in the other Bat-titles allows the creative teams freedom to think outside the box and show different sides of the city.